At some point, you may need to email or share otherwise a PDF document that contains confidential or sensitive information. Quite naturally, we feel apprehensive about disclosing such information. In a situation like this, you can blackout any part of a PDF document online using a very simple tool that PDFfiller has to offer. In the past, you would have had to print the document and redact the text with a black highlighter which would often soak through the paper making text on the other side illegible. Besides needing a printer and a scanner, the process probably took far too much time to complete. Now there is a far easier way to redact PDF documents. You can simply use PDFfiller! To get started, upload a document to your account or open one that’s already there. Click the Blackout button, the redacting tools will appear under the main toolbar. To black out text, click the highlighter icon and select the content that you want to black out by clicking and dragging the cursor. Release the cursor when you have finished redacting the text. You can use the slider to resize the tool. You can also blackout a picture of any dimensions. Click the rectangle icon, place the cursor at any angle of the rectangle you need to blackout, press down the mouse button, drag to the opposite angle of the rectangle and release the button. When you use PDFfiller to redact PDF documents, they look very neat and professional; in addition, you can always remove the black lines without leaving a trace of them. Just click on the black line or rectangle and then click the trash can icon that will appear above. Using PDFfiller saves you a lot of time and makes the redaction process much simpler! If you like being able to redact PDF files, you might be interested in a range of other great features that PDFfiller has to offer. Some of these include highlighting or erasing text, adding sticky notes, text boxes, and pictures. 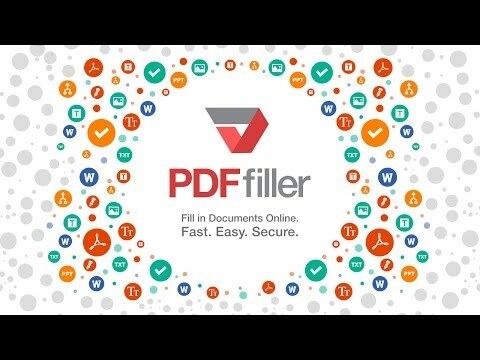 Check out these tutorials to learn more about the other great features PDFfiller offers! To blackout text in a PDF online, upload your PDF document using PDFfiller's uploader. Choose the 'Blackout' button in the 'Tools' tab. You can drag the cursor to blackout any text or image in your document. After blacking out the content, you can also click the 'Text' button in the 'Edit' tab and add text in your PDF. When you're done with editing, click the 'Done' button and email, print or save your document. How to Blackout in a PDF? To blackout in a PDF, upload your PDF documents to PDFfiller, or choose the PDF you'd like to black out in "My Forms" page and click "Fill" button. Click the "Black Out" button and get a black square. Select the area that you want to black out by clicking and holding the button on the mouse to draw a box around the area. Release the mouse when you're done. You can change the size of the black square using the editor toolbar. Can I black out an sentence PDF with text box? Yes, you can black out any sentence in PDF documents using PDFfiller. To black out a sentence, upload your PDF documents to PDFfiller, or choose the PDF you'd like to black out in "My Forms" page and click "Fill" button. Click the second "Black Out" button and get a black square. Select the sentence that you want to black out by clicking and holding the button on the mouse to draw a box around the area. Release the mouse when you're done. You can change the size of the black square using the editor toolbar. How to black out text in PDF certificate form? To black out text in PDF forms, upload your PDF forms to PDFfiller, or choose the form you'd like to black out in "My Forms" page and click "Fill" button. Click the second "Black Out" button and get a black square. Select the text that you want to black out by clicking and holding the button on the mouse to draw a box around the area. Release the mouse when you're done. You can change the size of the black square using the editor toolbar. What PDF editor can black out in PDF forms? PDFfiller can help you black out any content in any PDF document online. 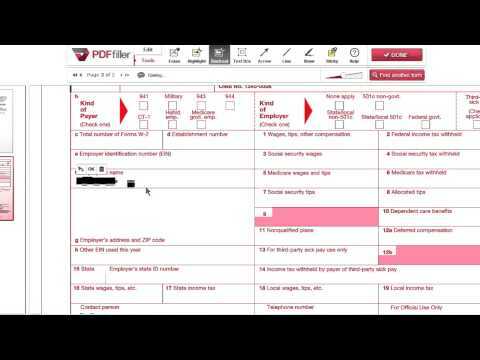 To black out in PDF forms, upload your PDF forms to PDFfiller, or choose the form you'd like to modify in "My Forms" page and click "Fill" button. Click the second "Black Out" button and get a black square. Select the area that you want to black out by clicking and holding the button on the mouse to draw a box around the area. Release the mouse when you're done. You can change the size of the black square using the editor toolbar.